Garlic is one of the main ingredients to many world wide cuisines. It is packed with health benefits and delicious flavor. When buying garlic, avoid the very large elephant garlic. 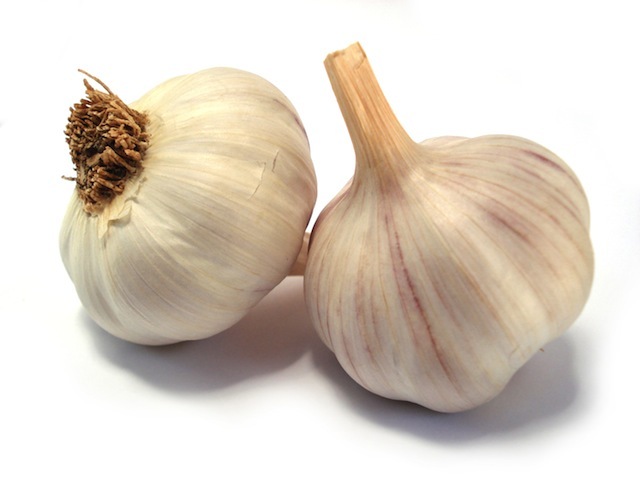 Though we may think bigger, elephant garlic does not taste the same and is not to be used as a substitute for everyday garlic. We want to buy garlic that is firm and has plenty of dry papery shells. Any garlic head that shows signs of sprouting means they are old and not dried or stored correctly. Very old garlic will break apart easily with pressure. Freshly bought garlic can last quite a long time if stored properly. We want to store our garlic in a cool dark place and out of sunlight. They should not be put in the fridge as this will result in spoilage. Garlic will age and spoil faster in direct sunlight. They will begin sprouting and eventually become soft and moldy. Always avoid direct sunlight when storing your garlic. The best place to store garlic is in a container that protects the bulbs from sunlight but has small holes to allow air circulation. Once the bulb is broken the cloves will last about 3-10 days. Tip: Plan ahead when cooking garlic. Its best to cut, crush or chop your garlic 10-15 mins prior to cooking in order for the alliicin to form. Never Store Garlic In Oil: This could result in Botulism, a very nasty toxin. It is best to buy your garlic oil from the store where it has been properly made. If Sprouting: The garlic is still safe to eat but its best you chop out the green as it will make your dish bitter. Properly stored garlic should never sprout though. Never Store In The Fridge: The cold temperature will ruin the taste as well as the texture of the garlic cloves.